I am often asked if it is possible to scan through stucco exterior walls. Contractors, remodelers, and DIYers are often surprised that Zircon does not recommend their tools for outdoor use on surfaces such as stucco. However, we have some tips that may still help you get the job done when you need to locate studs behind a stucco exterior wall. Stud finders are designed to scan through sheet materials that have a consistent thickness and density and have a fairly smooth surface. Stucco walls typically have chicken wire, or some other metal mesh, embedded in the stucco and that metal barrier will prevent your stud finder from sensing the increased density necessary to locate the studs. Al, a general contractor who has served as part of Zircon’s pro user focus groups for 15 years, recently encountered this problem. 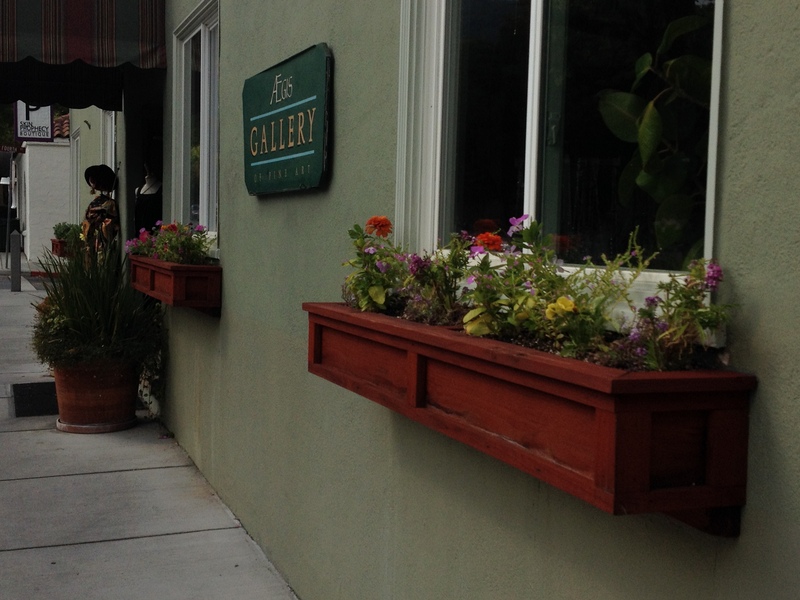 He had already built several redwood flower boxes and wanted to fasten the boxes to the exterior walls of the green stucco building. The stucco exterior of this building contains metal mesh that prevents stud finders from working. (You can use a Zircon tool with metal scan mode to determine if there is metal mesh in the stucco). While Al has been an expert user of Zircon products for many years, he was having difficulty finding the studs through the stucco due to the wire mesh. Al explained that he wanted to fasten the flower boxes to the exterior walls of a commercial building, but he was having trouble finding the studs through the stucco. I proposed the tips outlined below, which can also work for people who need to install things like awnings, lighting, flag pole brackets, hand rails, or satellite dishes to stucco walls. The work-around solution is to locate the studs on the interior walls and then carefully measure the distance from the studs to a door or window, and transfer the exact same measurement to the outside of the building. Work-around Solution. Step 1. Locate the studs on an inside wall, and very carefully measure the distance from the studs to a window or door. 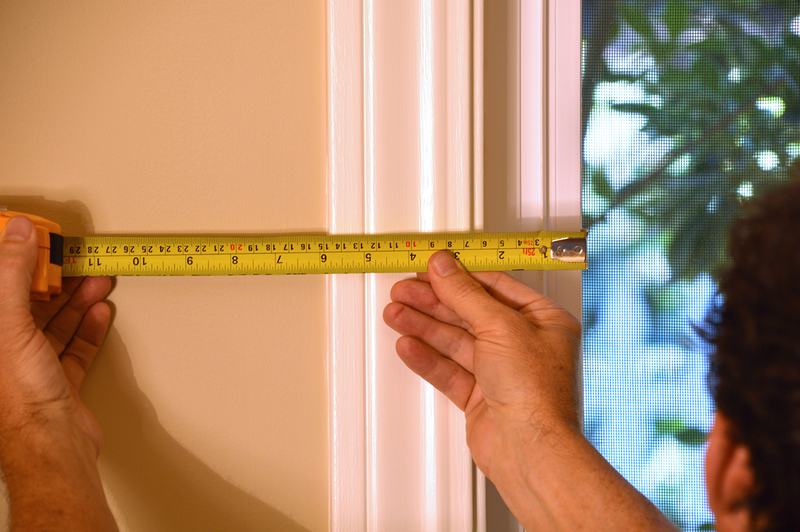 Tip: Don’t measure off the window trim. Measure from the edge of the glass so you know the exact same reference point can be found outside. Work-around Solution. Step 2. 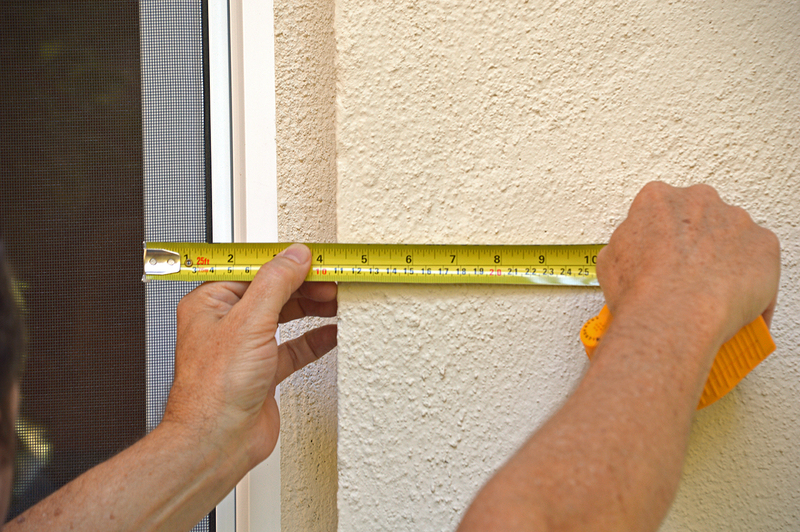 Next go outside and measure the distance from the edge of the glass to the studs behind the stucco exterior wall. Although somewhat time consuming, many pro users have reported success with this method. The key is being very careful with the measurements. This work-around solution can be time consuming, but well worth it and very necessary. Objects fastened to the exterior of the home are often heavy and exposed to wind force, so it is vital that the heavy objects are fastened securely. This method proved to be successful for Al and for many tradesmen that I have met with for several years. Project success. Al needed to locate the studs to securely fasten the planter boxes he built to the stucco walls. I advised him of the work-around solution. To determine whether your stucco has metal or not, use a Zircon metal detector, such as the MetalliScanner® m40 or a MultiScanner® i520 in metal scan mode. Some newer construction buildings use a fiberglass product embedded in the stucco, so if there is no metal mesh, you can use the DeepScan® mode in your StudSensor™ or MultiScanner® stud finders. However, if the building has wire mesh in the stucco, then try these work around tips for locating studs behind stucco. Al’s situation, and those like his, is useful for Zircon to learn and use real-life settings to test, analyze, research, and engineer better tools. And by the way, you don’t need to have a friend at Zircon like Al does to call for help. Our customer service team of product experts are available to answer your questions at 1-800-245-9265 Mon – Fri, 8 a.m. – 5 p.m. PST. You can also visit www.zircon.com. For additional customer service insights, please view the popular Zircon in the Real World blog, “A Wall is a Wall is a Wall“. Zircon continuously develops, designs, and manufactures a variety of new products that meet the needs of both professionals and DIY enthusiasts alike. Be sure to follow them at Twitter, like them on Facebook, or visit www.zircon.com for the latest product news.